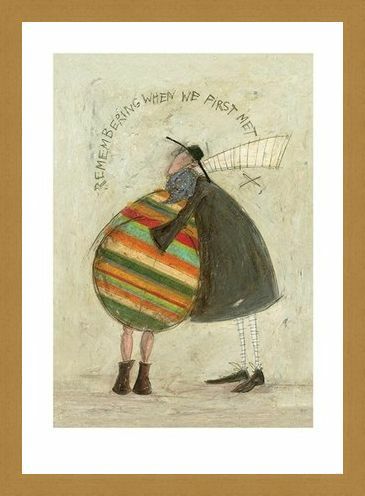 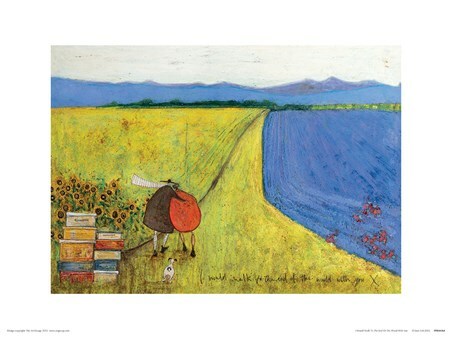 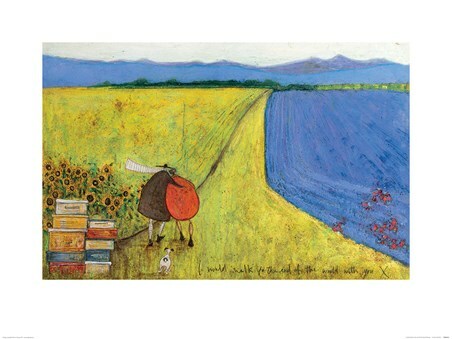 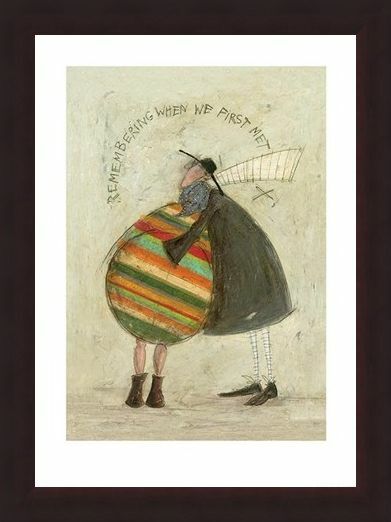 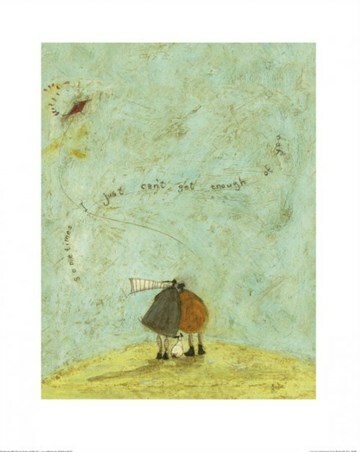 Art Print: Whatever your age, it is never too late to rekindle the romance and that is the message that contemporary artist Sam Toft puts across in this adorable print. 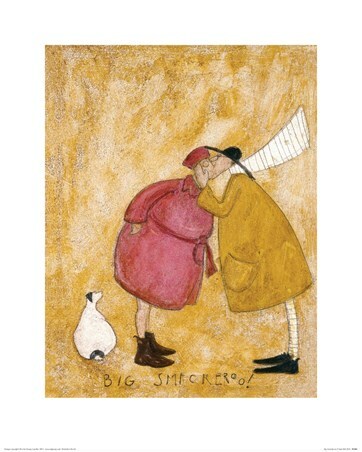 Featuring the now famed Mr and Mrs Mustard, the couple stand together against the cloudy Brighton Hove skyline as they share a tight embrace. With the words "Remembering when we first met" arching over them like a rainbow, this heart warming print is the perfect way to add a touch of romance to any room in your home. 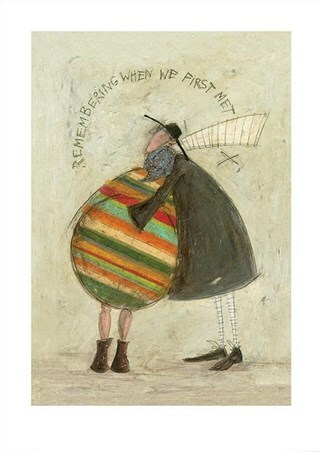 High quality, framed Remembering When We First Met, Sam Toft print with a bespoke frame by our custom framing service.